Counting our blessings, we identified quite a number of challenges we have encountered, but in all we are grateful because the successes tower above the supposed failures, and even the failures have helped us become, and do, better. Hence, to mark this anniversary, we asked our Team to give personal testimonies of their experience working with Fair Life Africa Foundation. Ifeoma Keke, Social Worker with FLA from April 2012, said “there was a period I felt ‘this is it, we are closing down’ because we had so much to do and children to reach out to, but funds were not coming forth. Just like a miracle, Fair Life Africa pulled through and here we are doing what we love doing best: reaching out to children in need and making them have a sense of belonging”. 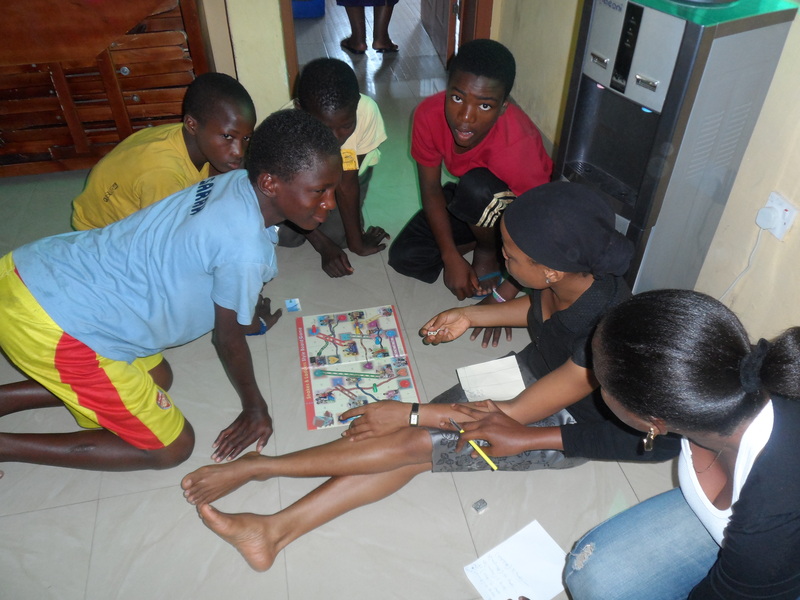 Nishola Akinyera, our Programme Facilitator, who started as a Volunteer in November 2011 and has worked in various capacities over the years, said “working with the FLA kids has opened my eyes to how innocently simple children’s requests are, and how much showing genuine love to children can bring them hope… This 4 years journey with FLA has taught me that wealth is measured not by how much balance we have in our accounts, but by how many lives we are able to touch in our life time”. 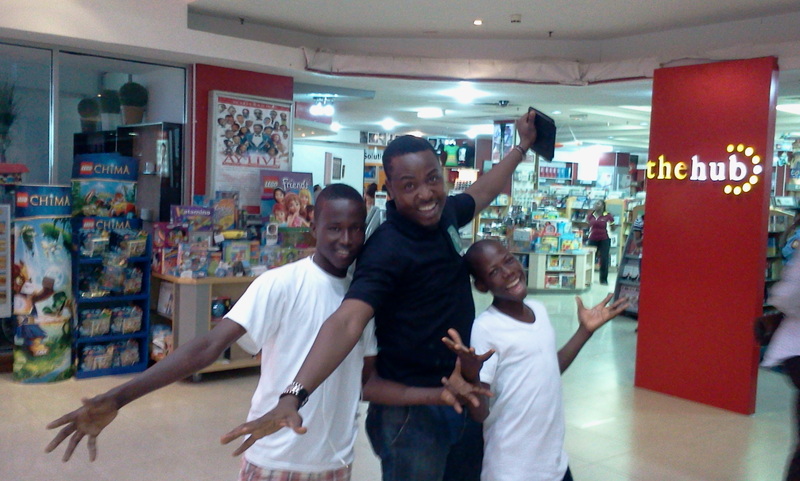 Our Administrator, Emeke Ndego, reminisced on his early days, and shared: “One moment that I still cherish was in December 2013. 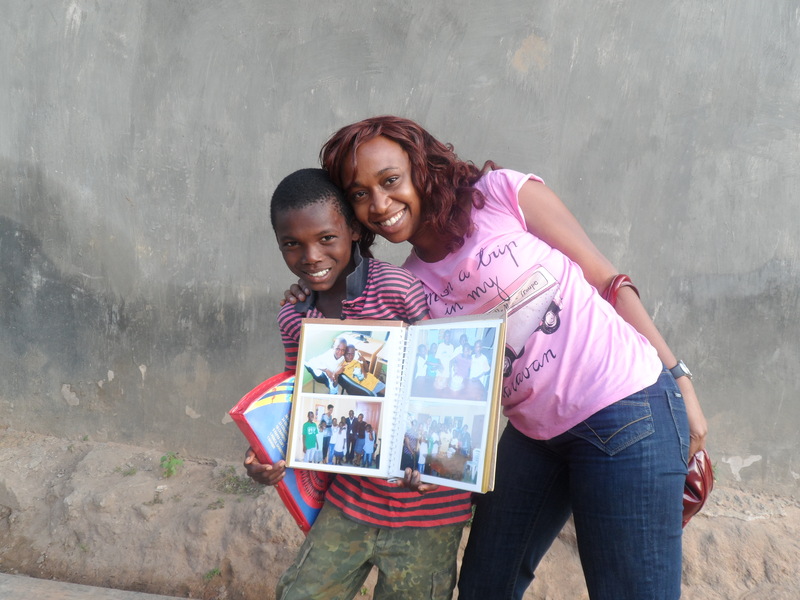 I had just joined FLA and I went on a field outing with Mrs. Ashogbon and Ayo Akintimehin to visit a reconciled boy. I didn’t have a clue about what we were headed for on that day as we left the office. 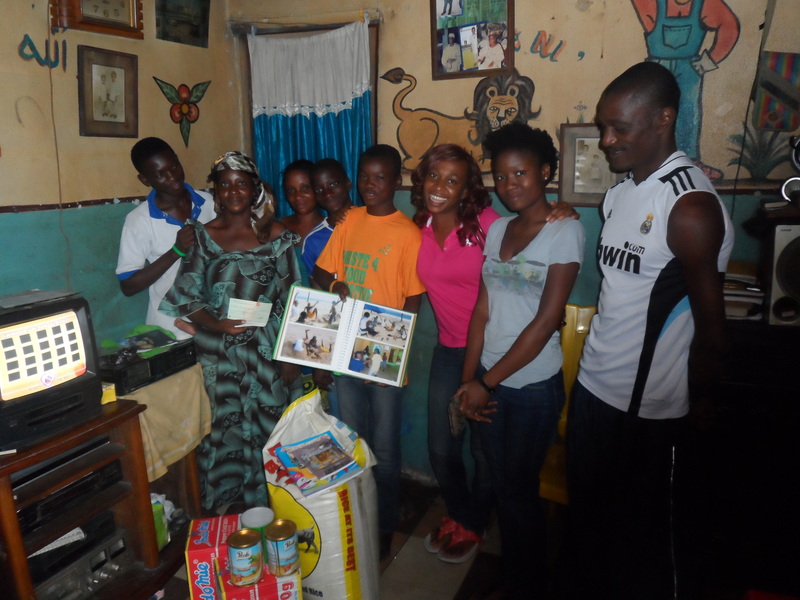 FLA paid the rent of the family’s accommodation and the child’s mum, who was selling cooked food as at that time, was so elated she almost gave us her cooler of rice in appreciation. That was my first-hand experience of the tremendous impact of our work”. 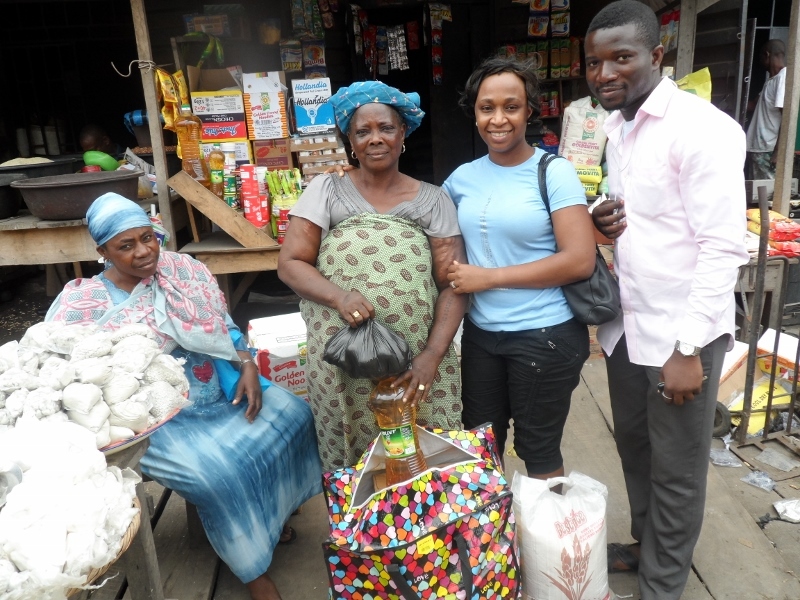 The newest member of the Team, Timothy Ihekoronye, reminisced on his first Christmas as our Development Officer, saying “Fair Life Africa Foundation did an outstanding work during the 2014 Christmas celebration. 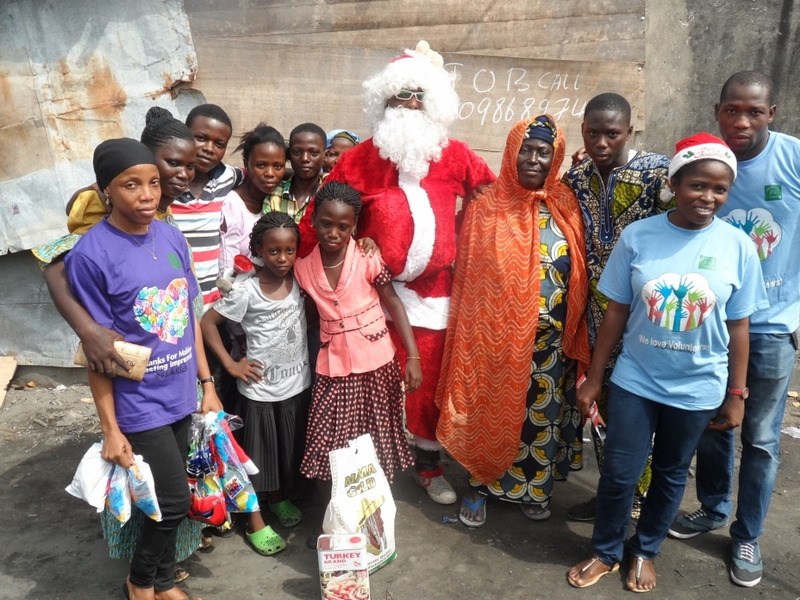 Taking the joy of Christmas to slums in Ikota and Ajegunle put a huge smile on the faces of children. Our Santa Claus gave gifts to over 600 children in hard to live areas. This is the true act of love and giving to the needy. Hope we all can emulate this kind of lifestyle”. These are just a few of the testimonies by the staff and it only encourages us to keep at what we do, knowing that we truly are making lasting impressions and impact. The most beautiful part of our work is, however, knowing that we bring hope and enduring smiles to the faces of children in need. Thanks for helping us to do more. 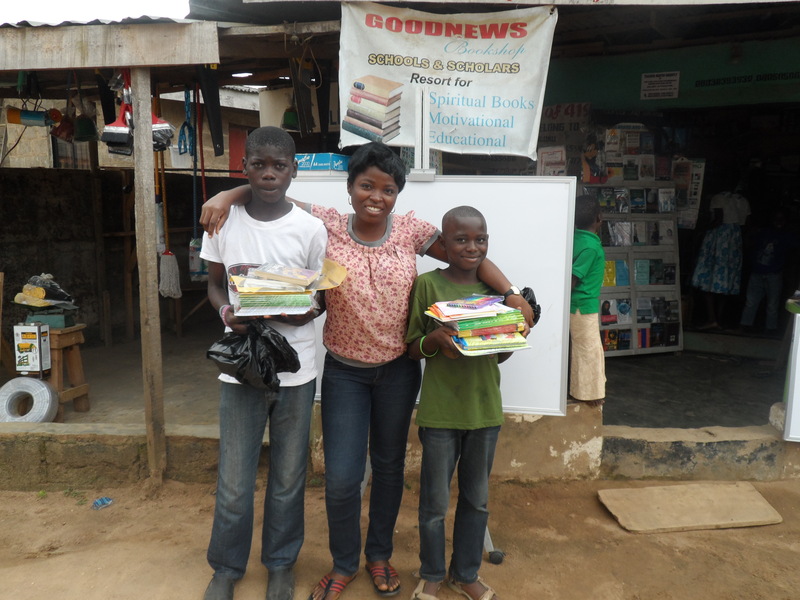 Yemi joined Ufuoma to encourage the #FLAKids with gifts for them and their families. Happy Birthday to us! Please help us celebrate. Make a donation today at Guaranty Trust Bank to Fair Life Africa Foundation, 0106643687 or you can DO IT ONLINE via GlobalGiving! Previous Post December’s Newsletter is Out!! !